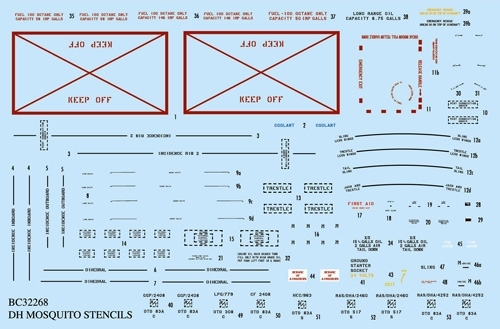 This sheet contains a complete set of external stencil markings for the DH Mosquito family. 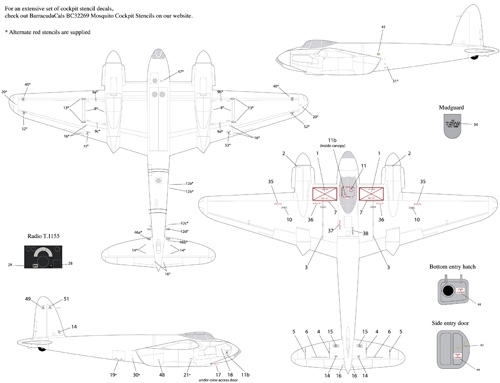 Included are alternate stencils in red aircraft with black undersides. 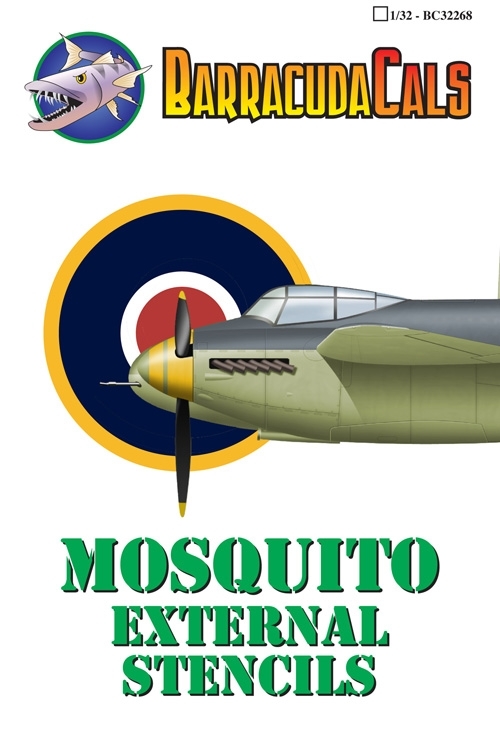 our stencils are sharper, cleaner, thinner replacements for the kit decals, with an absolute minimum of clear carrier film.